Evo grills are the leading live-action display cooking equipment in the world and built to last a lifetime. The commercial cook-tops are used by foodservice professionals and top chefs as a versatile cooking platform. It allows you to make meal preparation more theatrical and entertaining. 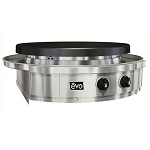 Since 2001, Evo has built a full line of exceptionally energy-efficient gas and electric circular cook-tops for both indoor and outdoor use. 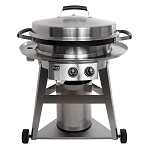 In addition, the circular cook-tops are used in the commercial market and purchased for residential use as well. 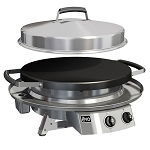 The Evo circular cooking appliances are made in the U.S.A.